The P.R.C. emerged as the biggest winner in normalization of Sino-American relations. For Beijing, the most immediate benefit was the greater support it gave the Chinese side in its anxiety-provoking contest with the USSR. 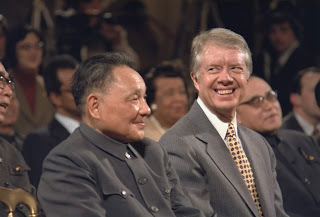 Yet far more important, in the long run, was the support it gave to Deng Xiaoping’s “reform and opening” policy that was initiated just days before normalization was formalized.